Ken has done a very interesting grid-tie PV system. Its a system that just about anyone can do for a few hundred dollars. Basically, using Ken's scheme, its possible to do a grid-tie system at less than $2 per peak watt. 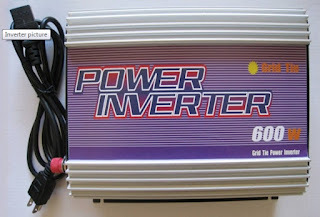 - The use of a low cost China import grid-tie inverter. - The glut of low low cost PV modules on the market right now. The inverter comes in at about $0.35 a peak watt, and PV modules can can had in the $1 per peak watt area (plus some expensive shipping). With some homemade mounts and a few odds and ends it will probably all come in under $2 per watt. The recent US average for commercially installed grid-tie systems in the US is $6.80 per watt (from Solar Today) -- so, this is a substantial saving. 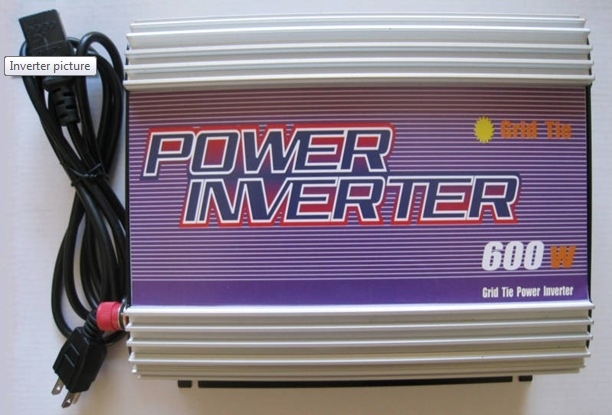 The only real fly in the ointment is that the inverter is not UL approved for grid-tied operation. But, it does have the anti-island feature, so it shuts down automatically if the utility grid goes down. This is basically a bootleg system. Even though the system is simple, there is some know-how involved in putting it together correctly, but Ken's blog entry goes through all this. The Ningbo Sun 600G -- other sizes available. Of course, you won't get net-metering with this system, so if the system is producing more power than your house is using at a given time, you won't get credit for the power that goes out to the grid. But, with a small system like this, that won't happen very often. 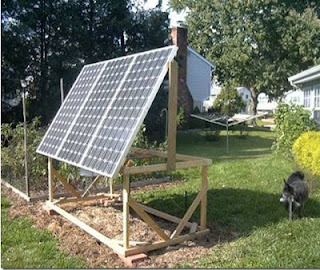 So, if you want to save a few bucks on your electric bill and a half a ton of CO2 emissions, this offers a way to do it. Ken is, of course, aware of the bootleg nature of this system, and is interested in hearing what people think of the whole idea -- pro and con. Probably best to leave comments on Ken's blog to keep everything in one place.